Like everyone I have lots of UFO's but when I signed up for Chick Jubilee and the Fat Quarter Shops Mystery BOM I made a little promise to myself that I wouldn't fall behind. So with Block 2 of the Mystery BOM in transit I thought I had best get a wriggle on and last night I completed Block 1 which was designed by Fig Tree Quilts. 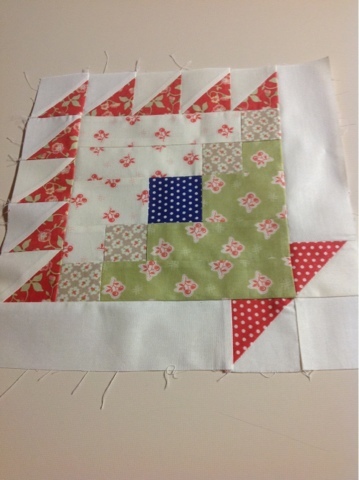 The whole quilt is made using Avalon which is very pretty. Now I am really looking forward to Block 2 arriving. 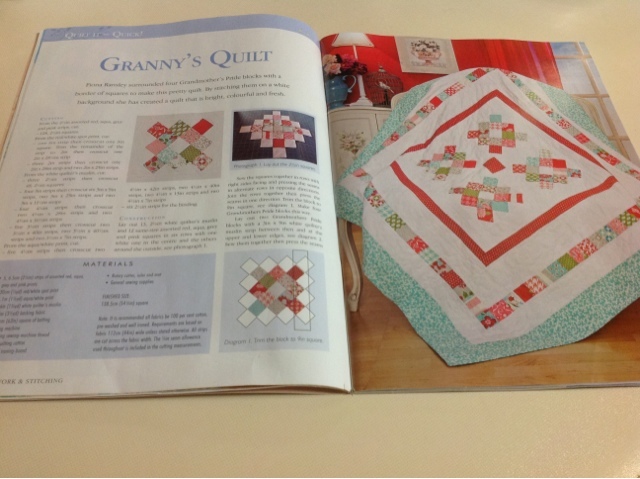 This month Patchwork and Stitching magazine has a lovely profile on me. It is beautifully written and made me feel very chuffed. And they chose some of my favourite projects that have graced the pages of their magazine in past editions. 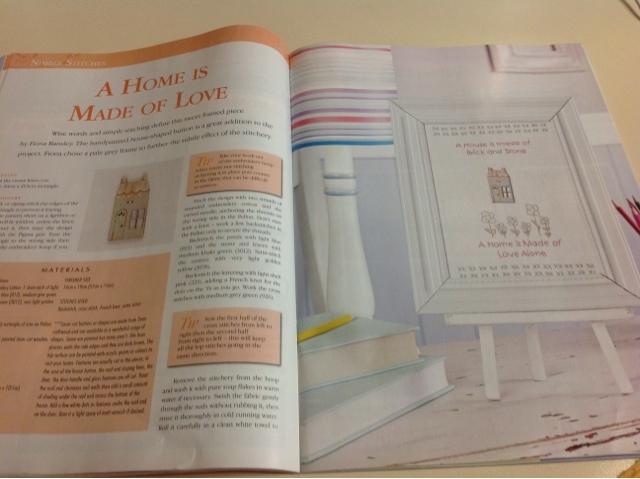 And a pattern to make my "A Home is Made of Love" Stitchery. I have one of these gorgeous house buttons from Theodora Cleave to give away with a pattern pack to one lucky blog reader so simply leave a comment to enter. I will draw it on Friday night. Can I join in your lovely giveaway from the UK??? Well done Fee; your designs are always lovely. Shall buy myself a copy of the mag tomorrow. I always enjoy reading the profiles in the magazines - looking forward to seeing it. That is an interesting basket block! I rather like it!! 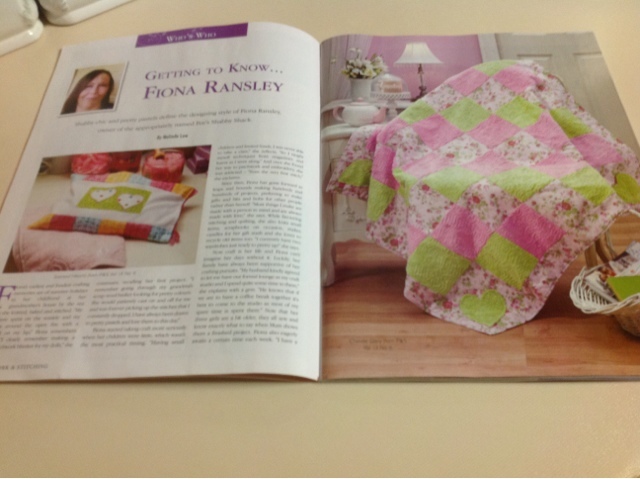 Congrats on being profiled in the Patchwork and Stitching magazine! I'll definitely try to find a copy. Congratulations! Your designs are amazing. Thank you for the generous giveaway. The Avalon block is gorgeous! And your designs are fabulous!! Congratulations on the feature!! 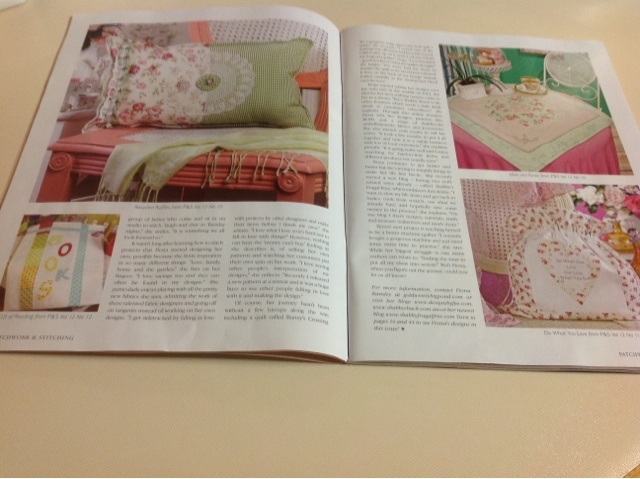 I will be sure to pick up a copy - any issue with designs by you, Dawn & Michele is certain to be wonderful!! How exciting for you Fee. I will look out for this issue. Your block looks great. I am eagerly awaiting block 2 too! Dear Fee, It was a lovely article about you, as my stitching group has a subscription and got the magazine early so I had a peek. Will be getting myself a copy. Thanks for a chance to win that sweet button. What a thrill for you!! Congratulations!! I love the Granny Square quilt especially! Congratulations Fee...wow you must be so excited! A big hurrah for the magazine article. I can only imagine what it feels like. Thanks for sharing your blog. It is part of my morning routine to read it and see what's up in your part of the world.